I had a look at my spreadsheet of 2017 sightings and realized I was missing some of the common duck species. 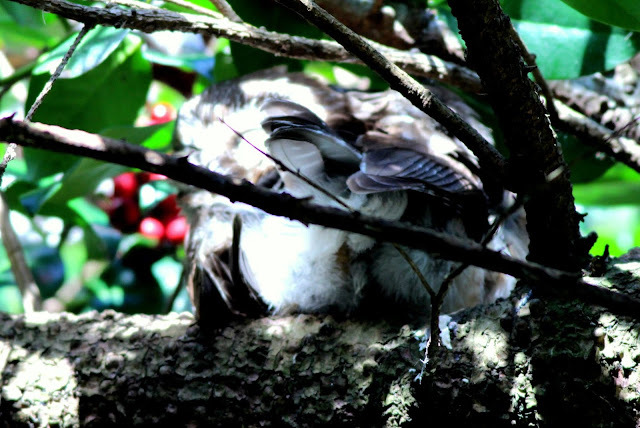 What better place to see them than Reifel Bird Sanctuary? 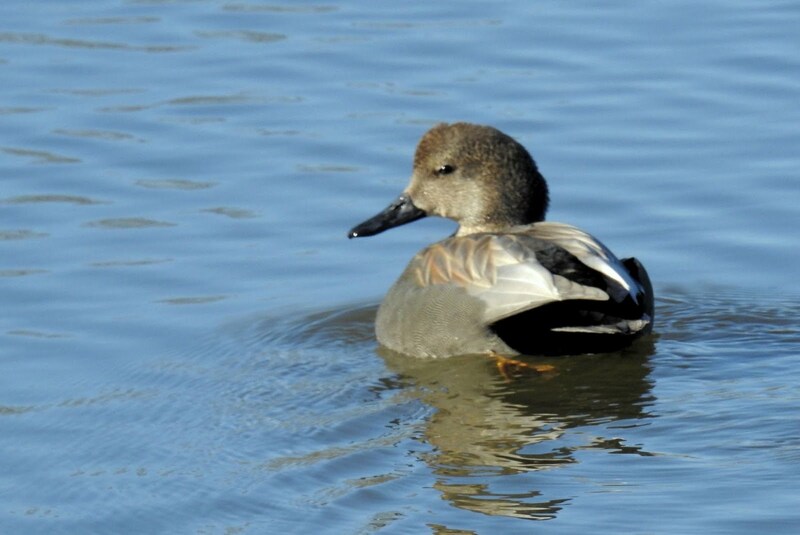 As soon as I entered, I checked out the house pond and spotted a male Gadwall. It was heading away and I took a couple of quick shots. 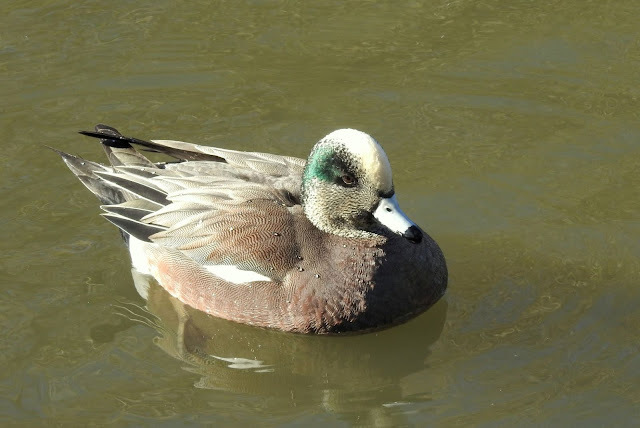 The male is an understated duck, mostly gray with black and white on the wings. There's also a hint of Orange on the wings which shows a bit in this photo. A couple of minutes later I saw some American Wigeon. I'm sure I'd seen them earlier in the year but had not recorded them. These are a colourful species, first a look at the male. 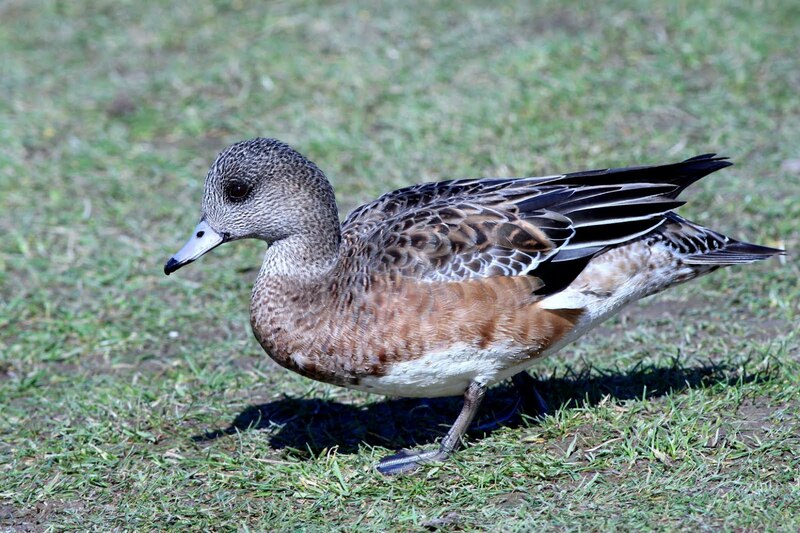 Unlike many species where the female is quite drab, the female Wigeon has some colour, this photo does not do her justice. 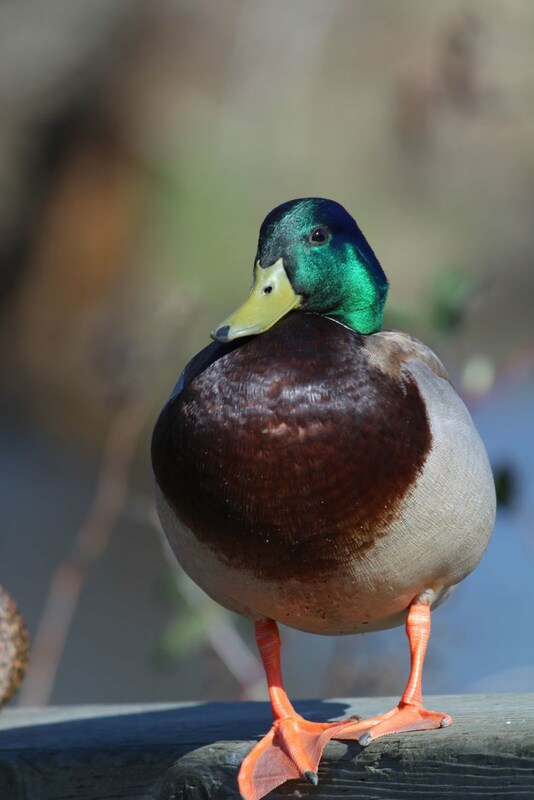 Mallards are the most common duck at Reifel, this is one of my better photos of a male. I made my way west to the corner where the Owls hang out and was lucky to see a Northern Saw-whet Owl. It had it's back to the trail, but I caught it once when it was partially facing me, but with eyes closed. I was now out on the West Dyke and spotted numerous Tree Swallows flying above. However, they were moving too fast for a photo. Since they were not nesting yet, they seemed to remain in flight constantly. This was 2017 Bird #84. There will be many chances for photos during the spring. 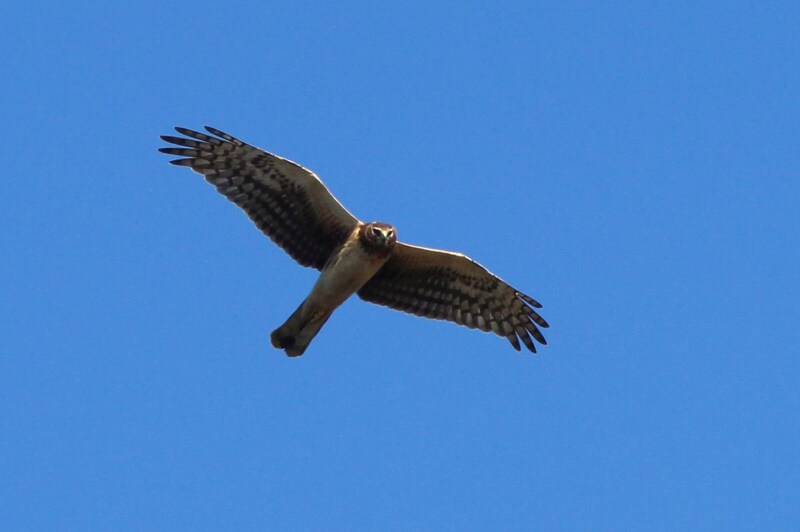 Also above was this scary looking Northern Harrier. 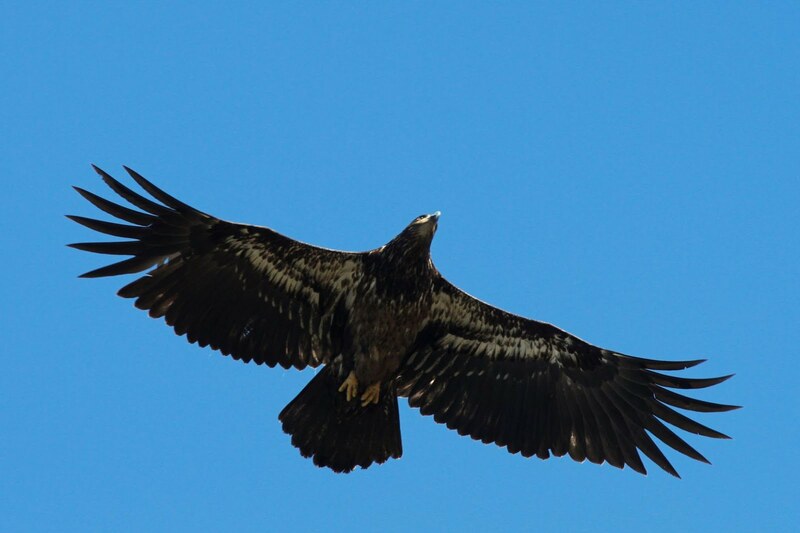 The skies were busy as an young Bald Eagle also flew over. On my last trip to Reifel, I joined the Sunday morning bird walk. The walk is led by experienced birders and they usually find birds that others miss. I had not caught up with them yet and then saw them coming from the direction I was heading. They had done a reverse loop on this day. When I reached them, one of the leaders told me they had seen an American Bittern out in the open farther along the trail. This was a Holy Grail bird for me. 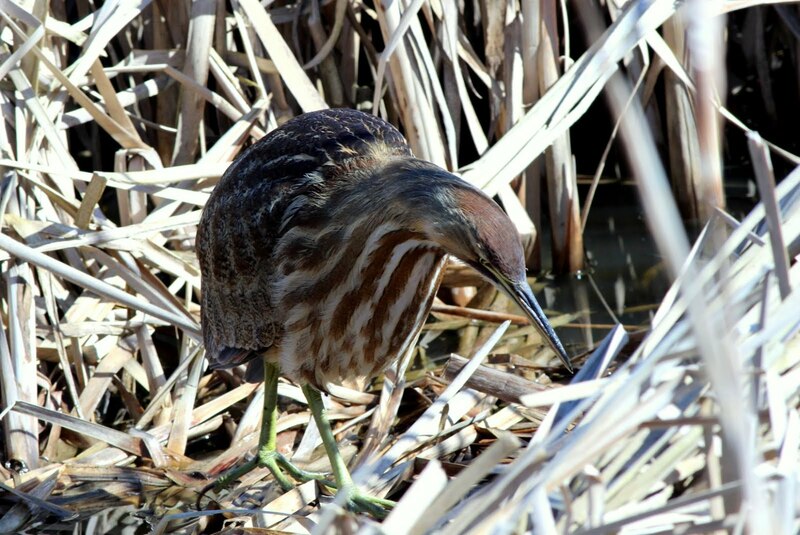 Last May I'd seen my lifer with my friend Mary-Jean out at Pitt Lake. It was a fleeting look while driving and Mary-Jean came up the ID on the following day. I saw one again at Pitt but again in flight. I hate having lifers with no photos. I made my way along the trail as fast as I could and got to the spot. There was the Bittern, still out in the open. This was a first for 2017 and my first photos ever. Bitterns are closely related to Herons and Egrets. They are normally very secretive and are crepuscular (more active around dawn and twilight). To see one out in the open around noon is quite a rarity. 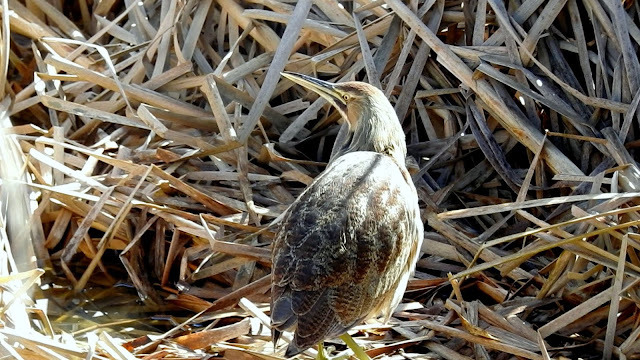 The photos show how well camouflaged the bittern is. 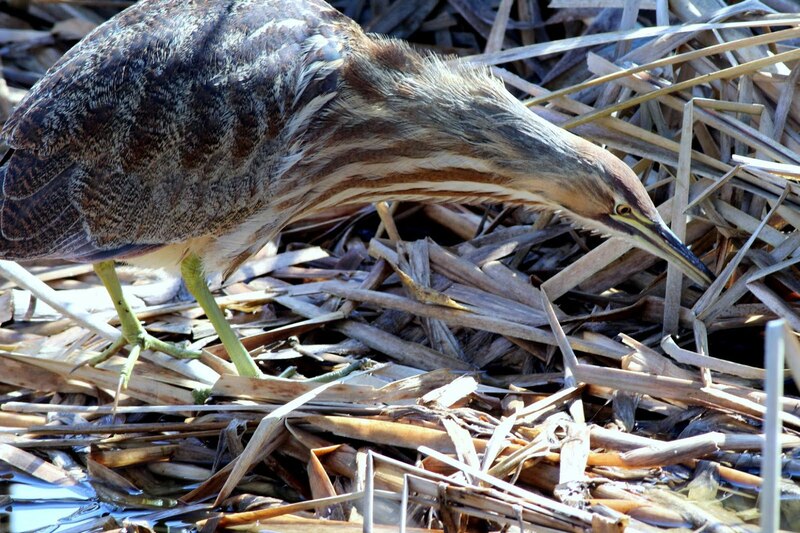 When it senses danger, it points its bill skyward to look more like a reed. This one's on the hunt and the movie below shows what success it had. I was just about at the end of my walk, the day had taken an unexpected turn for the spectacular.